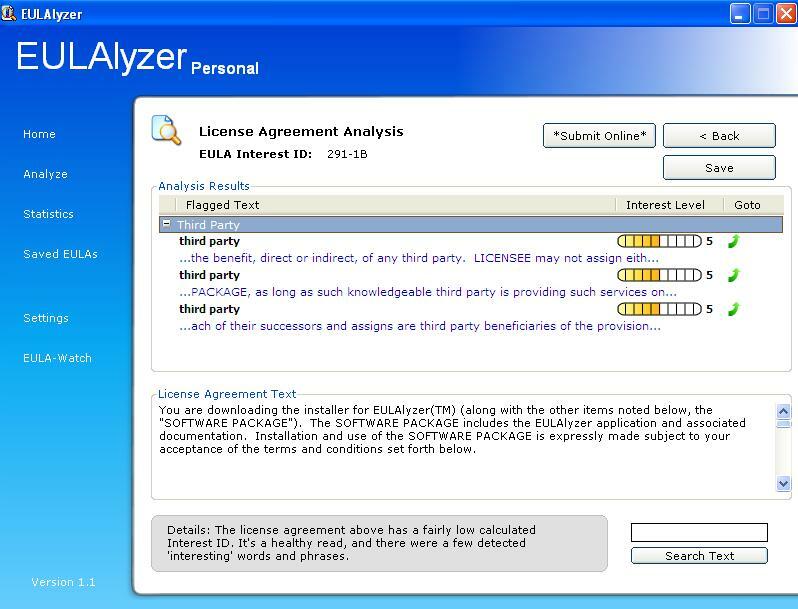 End user license agreements, or EULAs, are a pain that all computer users have experienced. No one wants to read through them, but then you feel a little scared that maybe you're agreeing to something that you shouldn't be. Kind of like accepting a credit card offer without reading the fine print. 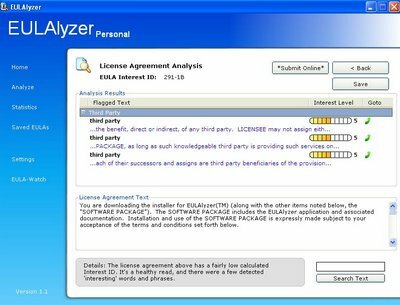 EULAlyzer allows you to copy and paste or drag a plus sign cursor to auto-paste the license agreement (you'll see when use it), and it'll analyze and flag possible items of interest. It also gives a sort of Interest ID, which tells you how much to worry about what's in the EULA. I ran it on the EULA for EULAlyzer, and it flagged it for having the words "third party". There are also some detailed statistics that you can look at.